As much as we all want to believe that tragedy shouldn't strike during the holidays, life reminds us that we have to take the good with the bad. It is being reported that a Pennsylvania infant girl was found starved to death as her parents overdosed on heroin. According to People, Summer Chambers, the infant girl was found lifeless Thursday inside a bassinet in the upstairs bedroom of a Johnstown, Pennsylvania, home, according to police. The remains of her 19-year-old mother, Chelsea Cardaro, were found in a neighboring bathroom while her father, 27-year-old Jason Chambers, was found lifeless on the first floor. 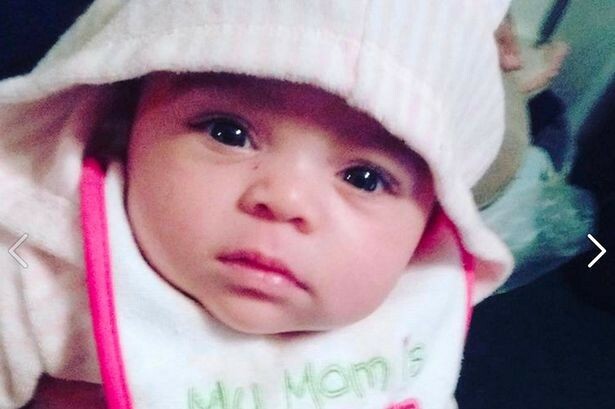 The publication reports that authorities believe a 5-month-old girl may have been left alone for as many as four days — starving and dehydrated — before dying, after her parents fatally overdosed on heroin nearly two weeks ago. Pathologists reveal that the infant's parents have had been dead for at least a week by the time a friend found them, according to Cambria County District Attorney Kelly Callihan. Authorities believe the mother and father died wthin minutes of each other. Callihan shares that a friend was called to check on Chambers and Cardaro when the couple, who had recently moved to Pennsylvania from New York, failed to show up for planned holiday festivities. We would like to extend our deepest condolences to the family and loved ones of Chambers and Cardaro.